Shooting an image in proper focus is a challenge for most budding photographers. Lytro’s revolutionary light field camera, which was officially unveiled today, aims to solve all the pain and heartache. The Lytro camera is a light-field, or plenoptic, camera. An array of micro-lenses sits over the camera’s sensor, capturing all the light in the scene being photographed (11 million rays of light, to be precise). The Lytro then saves your image in a proprietary file format to deliver a “living picture” that you can manipulate on your computer, much like a raw file. By manipulating key attributes, you can effectively change the focus of the image. That’s right: After the image has been taken. Lytro was founded in 2006, but we first got a peep at its camera and the living pictures it produces in late June. 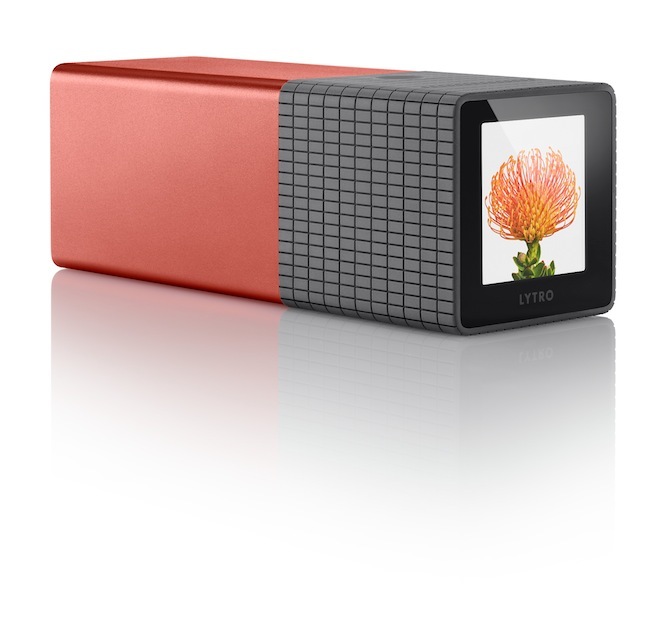 The Lytro’s industrial design will stop you in your tracks. The camera is essentially a 1.61-by-1.61-by-4.41-inch rectangle with a backlit touchscreen LCD display for composing your shot and setting exposure. On the front, you’ll find an f/2 lens with 8x zoom. The camera has only two buttons: one for power and one for the shutter. All the processing is done with software, which enables the camera to assume a super simple, petite shape. The camera’s pictures aren’t measured in megapixels. Instead, photographs are 11 “megarays” — the number of light rays captured by the light-field sensor. In actuality, this works out to about 22 megapixels, and if you’re worried about storage space, photos can be stored for free on Lytro’s online servers. The camera comes with editing software to interact with photos, but currently it’s Mac-only (a Windows version is in development). Two models are available: a $400, 8GB camera (available in electric blue or graphite chassis), and a $500, 16GB version (pictured above) that’s clad in a “red hot” casing. The 8 GB model can store up to 350 photos, while the 16 GB model can store up to 750. The Lytro camera is available for pre-order on Lytro’s website, but won’t begin shipping until early 2012.